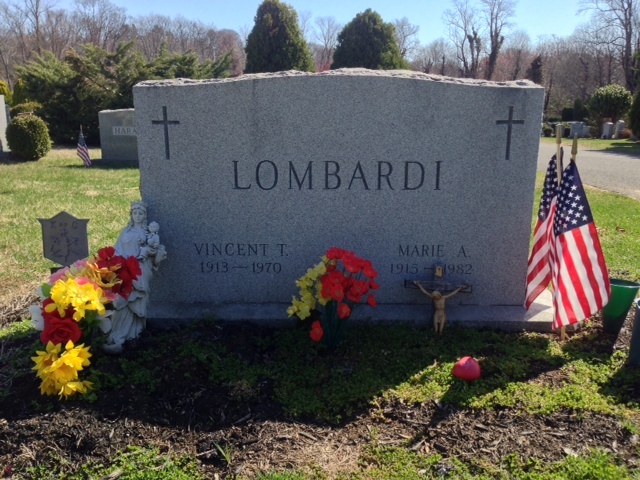 Vince Lombardi is a legend. He’s an icon. Vince Lombardi was the coach for the Green Bay Packers aka my football team. He’s arguably the most famous coach in American history. If I had to name one person, dead or alive, to sit down and have dinner with, it would be him. In addition to his famed coaching, he was also a pioneer as far as tolerance goes — he accepted both interracial marriages and gay players. In 1960s, he was way before his time. Because of these reasons, I’ve always wanted to pay my respects and visit his gravesite. One Saturday morning, on my way to Atlantic City for a work trip, I decided to make a detour to Mount Olivet Cemetery in Newark. The cemetery is massive, but thanks to the internet, the gravesite details were easily discovered. When exiting my car at the cemetery, I couldn’t help but notice how perfect the day was. 71 degrees and no wind. The sun was out with few clouds in the sky. I got there early in the morning, so very few people were in the cemetery. His wife Marie is buried beside him. On the opposite side of his tombstone, his parents are buried. It was extremely peaceful. I sat at his gravesite for roughly 45 minutes, sitting and thinking about the man and his life. Mt. Olivet is in Middletown, not Newark, just a heads up for future Lombardi fans.